VC moved into our new workplace in February of 2017. 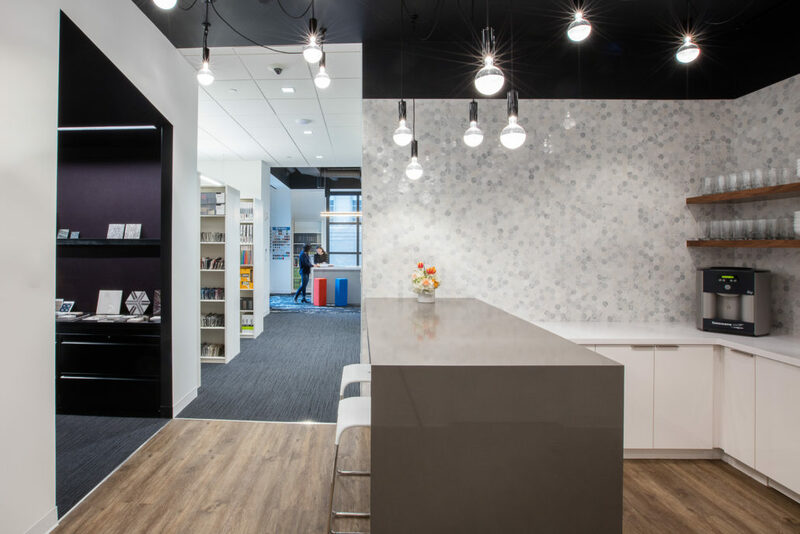 The newly designed studio was designed to create a fresh, engaging and creative environment to inspire our designers at work and also to serve as a mini showroom for our clients. 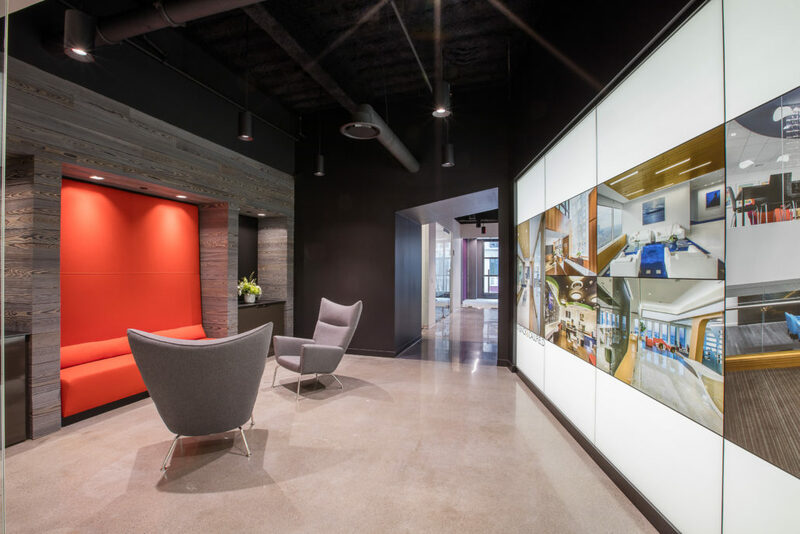 The office boasts an array of diverse design elements from lighting to ceiling that both support the look and feel of the VC brand while also serving as idea starters for visiting clientele. An airy gallery space greets visitors. A variety of meeting spaces are available which vary in size, feel and function. 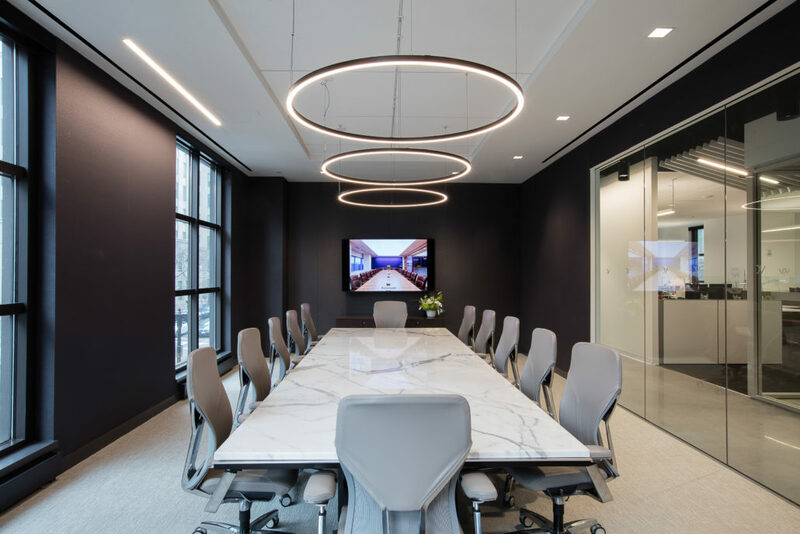 Each conference room acts as its own design entity in displaying different furniture configurations and materials. 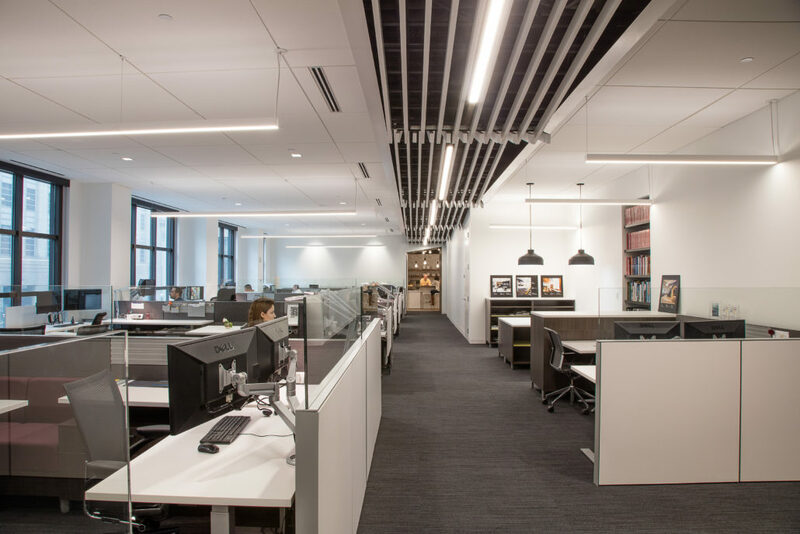 A major architectural element that runs the full length of the studio is a white wood slat saw-tooth ceiling which serves as a design element that ties the whole space together. 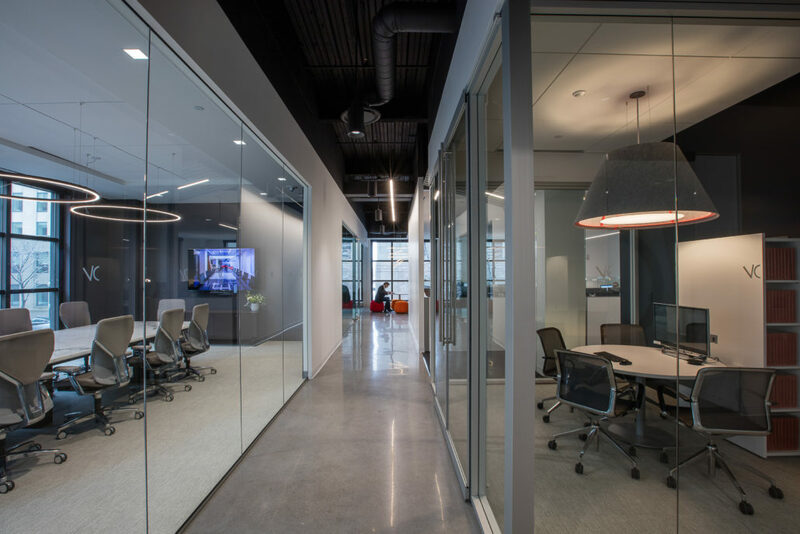 The use of glass in enclosed spaces as well as the layout of our studio took advantage of the building’s large floor to ceiling windows. 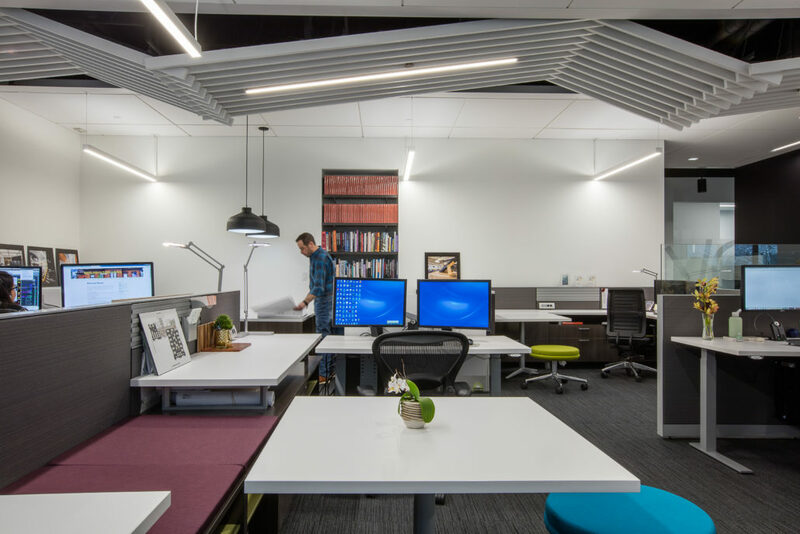 With plenty of natural light and an environment that is innovative and creative, our studio is a workplace that inspires our designers to think, create and invent.